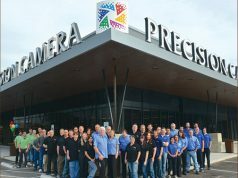 Center Valley, PA—Olympus will celebrate its 100th anniversary on October 12, 2019. Olympus Corporation released the following statement regarding the upcoming event. “We are sincerely grateful to all of our customers and stakeholders who have supported the company’s development and progress since our founding 100 years ago. Going forward, Olympus will continue to contribute to society by making people’s lives healthier, safer and more fulfilling around the world. . . .
Olympus was established in 1919 as Takachiho Seisakusho, a manufacturer of microscopes for the Japanese market. The company’s founder, Takeshi Yamashita, wanted to creating something uniquely original. He believed “mere imitations of imported products would not suffice.” In 1920, Takachiho announced its first Japanese-developed microscope, the Asahi. Following, the company applied the same optical technologies developed for its microscopes to other innovations. These included Takachiho’s first camera, the Semi-Olympus 1. The world’s first practical gastro-camera was a precursor to the endoscope. Today, Olympus remains passionate about its medical technologies, life sciences, industrial solutions, and camera and audio products. Moreover, the company is a pioneer in mirrorless camera technology. 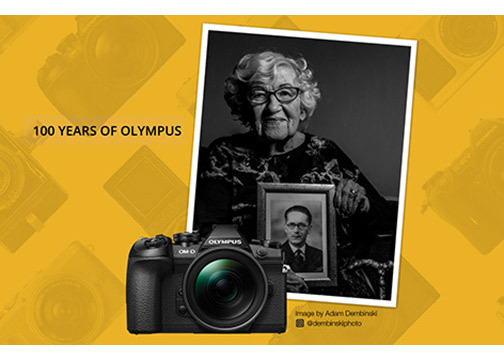 As part of the anniversary celebration, the company is commissioning a group of Olympus Visionaries, its photographic ambassadors, to take portraits of centenarians born in 1918 and 1919. The portraits will appear in a celebratory book. They will also exhibit at the company’s London art gallery. Anyone wishing to participate in the project can apply at olympus-imagespace.co.uk/100-years.